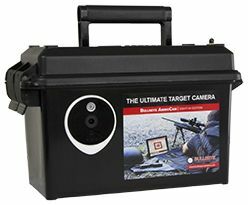 An affordable target camera system. Sight your rifle out to 300 Yards with ease. See your shots on your Laptop Computer or Mobile Device. Sight your rifle out to 1 Mile with ease.